We did an old favourite at Toddler Group yesterday. 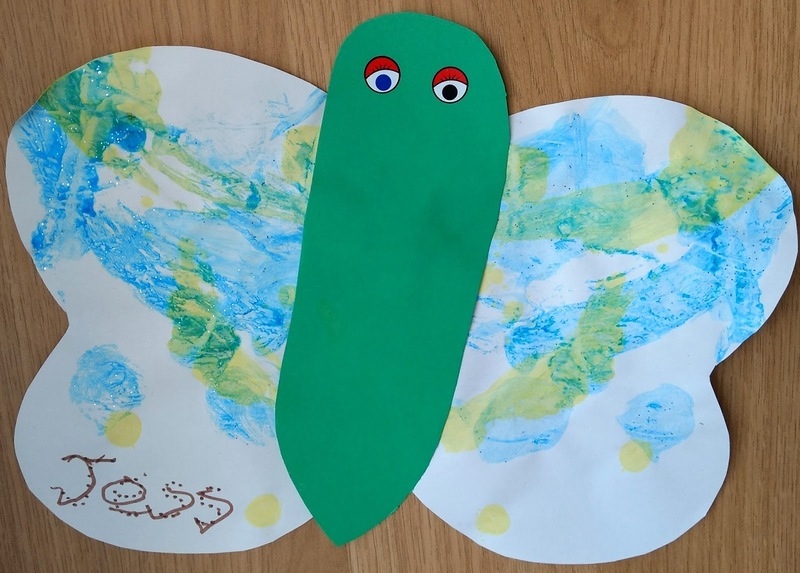 We painted, folded, squished and printed onto A4 paper before cutting the wings out and peeling the paper open. We stuck the bodies on with double-sided sticky tape then added a couple of Baker Ross' finest eye stickers. These make an excellent alternative to googly eyes when working with young children. They're always incredibly popular at Toddler Group. Everyone loves a sticker!